Boy, did we get walloped last Saturday evening! High winds, hail and rain punished little Pleasant Ridge. I’m told that it was the worst storm here in some 30 years. Even so, few houses were seriously damaged and there were no injuries. We finally got power back a couple days ago and Internet last evening. It was the first time in a year and a half that I was unable to post any auctions. The most lasting damage here in PR centers on the trees. 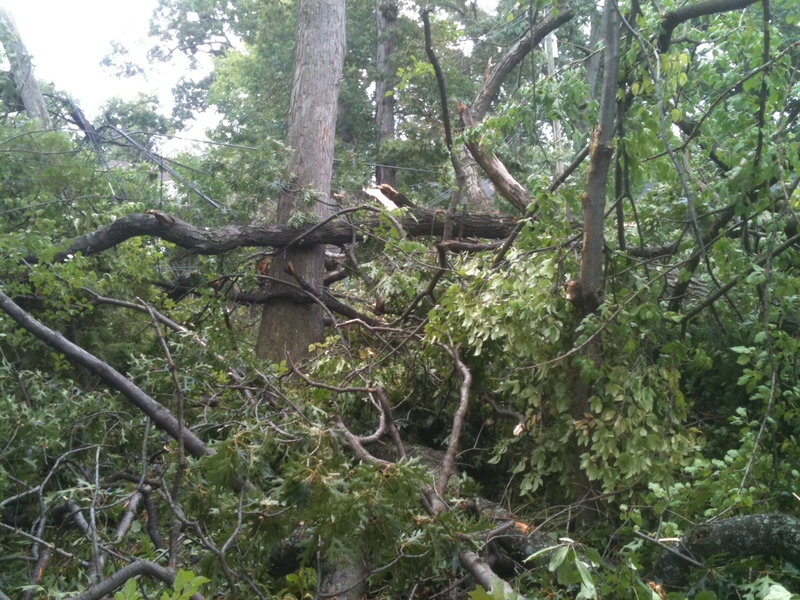 We lost dozens of large trees, mostly oaks. It is such a shame to see 100 year old giants upturned. The entire city was turned into a logging camp for the week. The saws and chippers are still working continually until dark. « A Johnny “Double No-Hit” Vander Meer fan has his say.